Origin of the Bible: What is its History? For the Christian, the Bible is the most important book in existence. We believe it contains the truth of God in written form. It guides the way we live our lives. It presents the history of mankind from the beginning of the universe to end of our time here on earth…and beyond. Most importantly, it tells us how we can be forgiven of our sins so that we may have a personal relationship with a holy God. 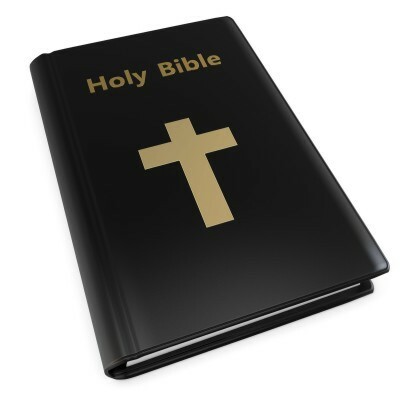 We have several articles here at What Christians Want to Know about the translation of the Bible, the archeological support for the Bible, the holiness of the Bible, and why I trust the Bible [the links to these articles are included at the end of this article]. However, in this article, I want to look at what the Bible has to say about its own origin. What is the source of this book that we Christians hold so dear? Now, non-believers will be quick to say, “That’s circular reasoning. Trying to prove the Bible by using the Bible.” This article is not for them. This article is for the believer. This article is written to encourage the one who has already put his or her faith in the Lord Jesus Christ. Other articles are available for discussion and debate, this article is purely for the edification of the saints. I pray it will be a blessing. Alex McFarland writes, “The agreement among all 66 books [of the Bible] strongly argues in favor of the Bible’s heavenly origin. Though humans did the writing, the Bible is really the product of one author—God” (McFarland, p. 25). The Bible tells us that many Old Testament saints spoke the very words that God gave them to say. A few examples, of the many that could be cited, include Moses and/or Aaron (Exodus 4:22, 5:1, 7:17, 8:1, etc. ); Joshua (Joshua 24:2); Nathan (2 Samuel 7:5) to name just a few of the numerous times people were told by God to deliver a message that began with the words, “Thus says the Lord”. All of the Old Testament prophets were commanded by God to speak the very words that He gave them to say; Isaiah, Jeremiah, Ezekiel, Hosea, Joel, Amos, Obadiah, Jonah, Micah Nahum, Habakkuk, Zephaniah, Haggai, Zechariah, and Malachi were all commissioned directly by God to speak the message He gave them. What is the source of this book that we Christians hold so dear? Consider this also, God inspired men to write down the words He gave them, so that there would be a record of what He had said, “…knowing this first of all, that no prophecy of Scripture comes from someone’s own interpretation. For no prophecy was ever produced by the will of man, but men spoke from God as they were carried along by the Holy Spirit” (2 Peter 1:20-21 ESV). God guided men to write down the very words He wanted recorded. These words are now contained within the covers of the Holy Bible that you and I hold so dear. The words in the Old Testament are God’s words. The Bible makes this claim for itself in the New Testament, “All Scripture is breathed out by God and profitable for teaching, for reproof, for correction, and for training in righteousness, that the man of God may be complete, equipped for every good work” (2 Timothy 3:16-17 ESV). I believe that it is biblical to consider this verse to pertain to both the Old and New Testament. Let us look at the evidence. When Jesus walked the earth as a man, he taught His followers many things; however, He could not teach them everything He wanted them to know in the three shorts years of His ministry. Jesus said this to His disciples about their spiritual education, “These things I have spoken to you while I am still with you. But the Helper, the Holy Spirit, whom the Father will send in my name, he will teach you all things and bring to your remembrance all that I have said to you” (John 14:25-26 ESV). Jesus promised that the Holy Spirit would come to His followers, teach them all that He wanted them to know, and supernaturally enhance their memories so that they would not forget any of His teachings or remember anything wrongly. Jesus knew that His followers would soon be writing the record of His time on earth, and all the spiritual truths connected with that visit. He would not leave them to rely solely on their fickle human memory. The Holy Spirit guided these men to write down the very words that God wanted to preserve in the Scriptures. Jesus reassured them of this truth multiple times, “When the Spirit of truth comes, he will guide you into all the truth, for he will not speak on his own authority, but whatever he hears he will speak, and he will declare to you the things that are to come” (John 16:13 ESV), and, “But when the Helper comes, whom I will send to you from the Father, the Spirit of truth, who proceeds from the Father, he will bear witness about me. And you also will bear witness, because you have been with me from the beginning” (John 15:26-27 ESV). In short, the origin of the Bible is the mind of God. The words contained on the pages of Scripture are the words that God intended to be there. Not only did God have His followers write down what He wanted written down, but He also supernaturally protected those words from corruption and contamination, so that the Bible we have in our hands today contains the words God wants us to read. The Bible is God’s message to us. It contains God’s words; the words of life, the words of salvation. I agree with the words of Martin Luther, “In the Bible God speaks. The Scriptures are His word. To hear or read the Scriptures is nothing else than to hear God Himself” (Martin Luther, quoted in McFarland, p. 31). To study the Bible is to know God better. Well done again Robert. I loved Martin Luther’s comment and it is so true. Some argue that it was written by man but what they fail to understand that God the Holy Spirit was the Author of the book. They believe in evolution but I told them that wasn’t that written by man also and so how can you dispute the Bible and accept what is written by men when you use that as an argument against the Bible. No wonder it is the best selling book of all time. Your words are too kind. I often wonder what serves as the anchor for those who do not believe the Bible. Shouldn’t God’s written message to us be the most important book ever? My answer would be “Yes”. God bless you, brother. Great article, Robert! Especially liked the part, “The origin of the Bible is the mind of God.” Also appreciated what Martin Luther wrote. Praise, honor and glory be unto Our Heavenly Father, His Son, Jesus, His Holy Spirit! AMEN! The Bible is such an integral part of our faith. Thank you for your kind comments. God bless you. Thank you for the solid article on the inspiration of the Scriptures. Canonicity was never something that was determined by man, as many think today. Instead, canonicity was imparted to the Scriptures by God, and man merely recognizes their inspiration by the same Holy Spirit that inspired the Scriptures. To paraphrase famous Bible scholar Dr. Bruce Metzger, instead of an authoritative list of books, we have a list of authoritative books. The Bible is so very foundational to our beliefs that we should all understand as much about it as possible. I guarantee that those who would atttempt to tear it down and cause people to disbelieve it have researched its background. The believer can rest assured that God protected His Word throughout history. God bless you Vince. Yes, thankyou for reminding us of the importance and authority of scripture for us all. To me the most convincing proof of its divine authorship is the consistency of its message. How could you arrange for dozens of people writing mostly without any possibility of collaboration over many hundreds of years to be so perfectly consistent about anything. Only an intellect way above any human understanding could possibly do that. Without doubt, that was God the Holy Spirit. How right you are, John. Thank you for reading and commenting. May the Lord continue to bless you. I read your article, Origin of the Bible: What is its History? Its very excellent . May Lord bless u more and more in His Divine wisdom…amen ! Next post: Where Will The Antichrist Come From? Does The Bible Say?